The bedroom is a place where one goes to sleep at night. Every homeowner knows that the living room needs to be well decorated since that is where people come over, and a large portion of the day is spent in the living room as well. The bedroom, however, is a place where one goes to sleep at night. And that is precisely the reason as to why there should be some serious thoughts put behind decorating the bedroom as well. It is where you end and begin your day, and it is also where you are absolutely relaxed. So, let us take a look at each flooring type and how each one of them add to the ambiance of the bedroom based on its design. Hardwood floors have always been the traditional choice for master bedroom flooring since the medieval era. It provides a sober, warm look and feel to the room regardless of the other decorative choices, and also adds a sense of command to the setting. Hardwood flooring has stood the test of time in terms of both styles and is definitely one of the most durable forms of bedroom flooring options available. While the cost of hardwood flooring may be much more expensive than the other options available, the quality of the flooring and the long-lasting tenure of it makes it worth the price. Some of the hardwood floorings is not a great option for bedrooms with pets as their claws can leave scratch marks on the surface. If both the pet and the hardwood flooring are imperatives, then we suggest you go for a hardwood species with stronger grains. If the flooring is not installed properly it can lead to a lot of creaking sounds. Ensure that you are dealing with professional contractors when it comes to hardwood flooring. Certain precautions need to be taken in order to avoid damaging the surface such as avoiding spikes or high heels in the bedroom, using pads at the bottom of furniture, etc. If you are worried as to whether engineered wood will be actual wood, well it is. The process of engineering involves creating a hardwood coating on top of a plywood center and ensuring that the bonding between these two kinds of wood is absolutely sturdy. The reason a lot of people opt for the engineered wood flooring options for their bedrooms is due to the variation in styles and the added warmth it provides. 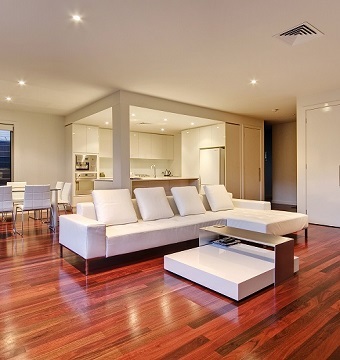 Firstly, hardwood flooring faces contraction issues when used in extreme temperatures. 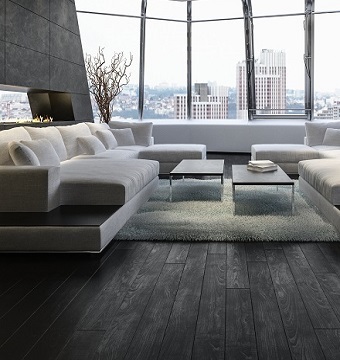 So, for people living in weathers of extreme cold or heat, engineered flooring is a much better option to look into. And while hardwood flooring needs to be glued into the floor thereby making it a permanent flooring system, the engineered woods can be easily taken apart ensuring that a change of styling does not take the shape of a goliath task. Moreover, the engineered wood flooring option is something that a lot of young people tend to opt for. This is mostly due to the fact that these add a modern look to the entire home décor and goes really well with contemporary furniture and colors. 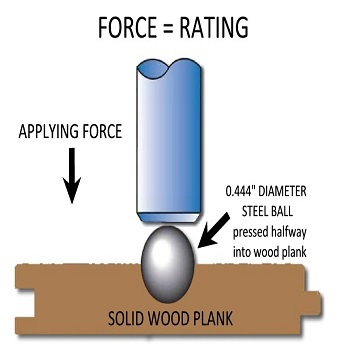 The core construction of the engineered wood determines its durability. There are multiple methods to install engineered wood and this needs to be discussed with a professional to see which one suits your construction the best. While the luxury vinyl plank flooring is usually used in living rooms or kitchens, interior decorators have been introducing this form of flooring to bedrooms and they are an absolute treat to anyone who wants a polished, modern, and utilitarian look in their chambers. 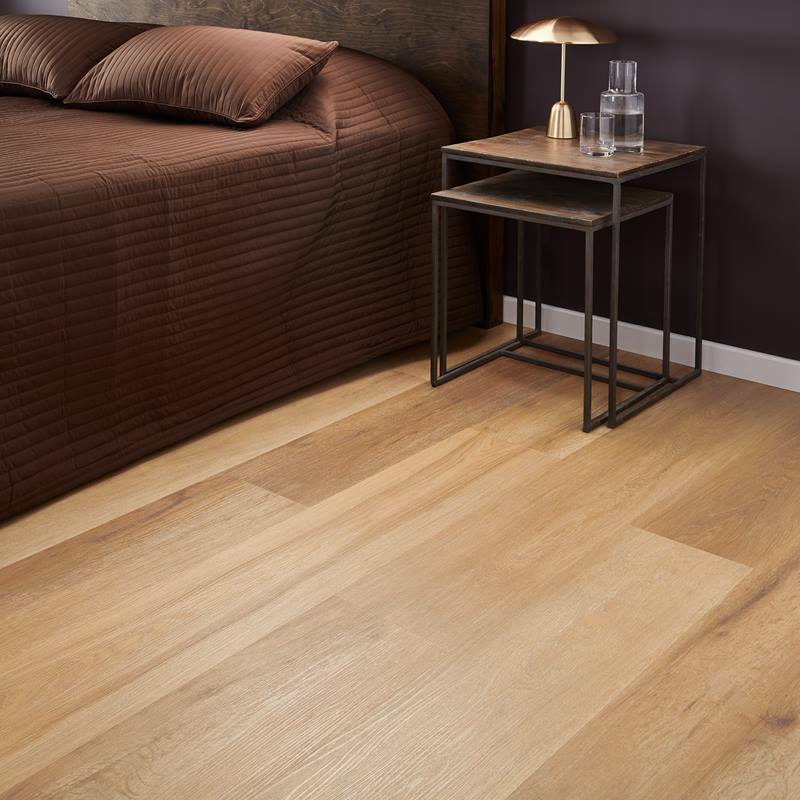 Without a doubt, these are some of the most stylized forms of flooring options available and are the quintessential addition to a 21st-century bedroom. 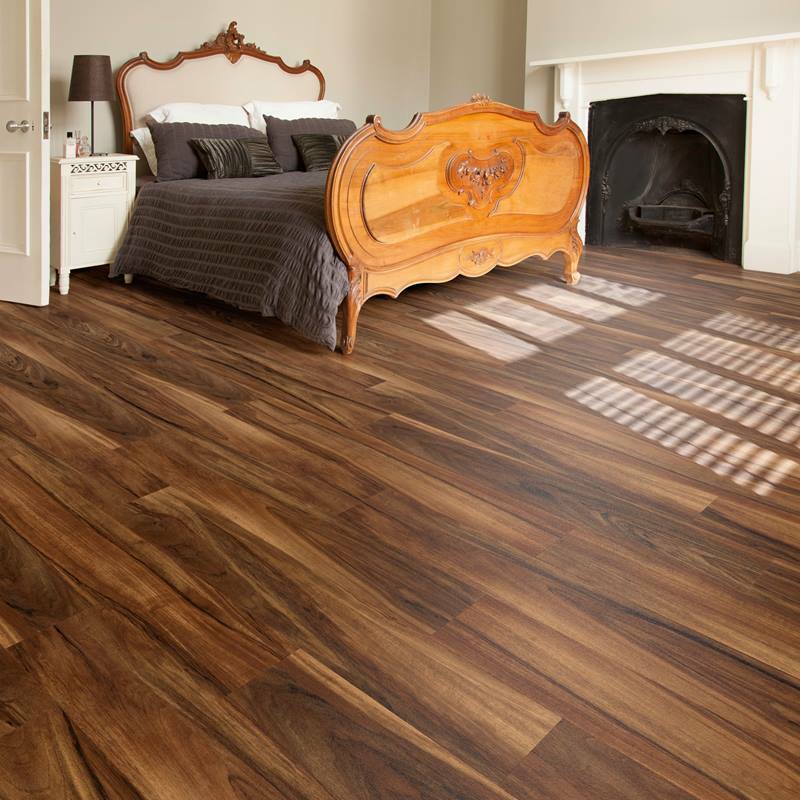 The biggest benefit of this type of flooring is that it can provide the bedroom with the looks of a prince while allowing for the budget of a popper. It’s perfect for walking barefoot since outside temperatures hardly affect the temperature of the material, and it can also withstand scratches and tears. What this means is that people from extreme climatic regions can get vinyl planks as bedrooms flooring and you can also finally let the dogs out into the bedroom without having to worry about their nails chipping away at the costly hardwood flooring you would have otherwise opted on. With vinyl flooring, you also do not have to worry about spills seeping into the wooden flooring, extra creaks, on chipped ends. Luxury vinyl planks may require certain levels of maintenance. 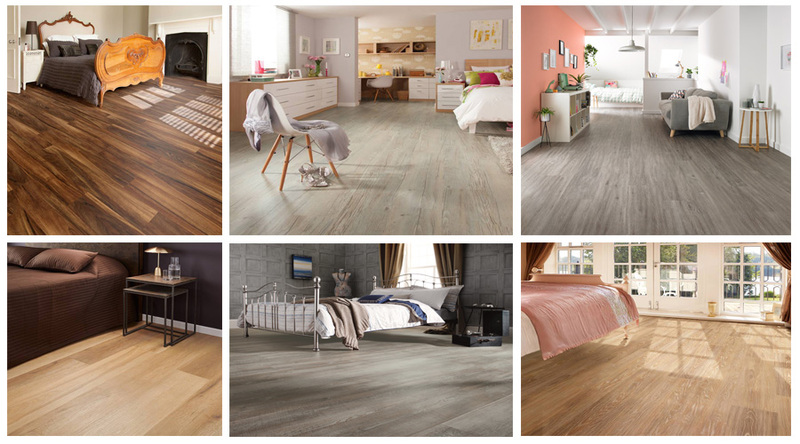 So, now that you have an idea of the various types of flooring options available, it’s time to take a deeper look into the matter and see some of the variations of wood species that are popular among home-makers along with their specifications. Maybe one of these will inspire you enough to use it as your bedroom flooring material or it may spark personalization ideas as well. Hailing from the European tradition of using oakwood as the master bedroom floor, the Grey Oak is the perfect addition to a modern and spacious bedchamber. 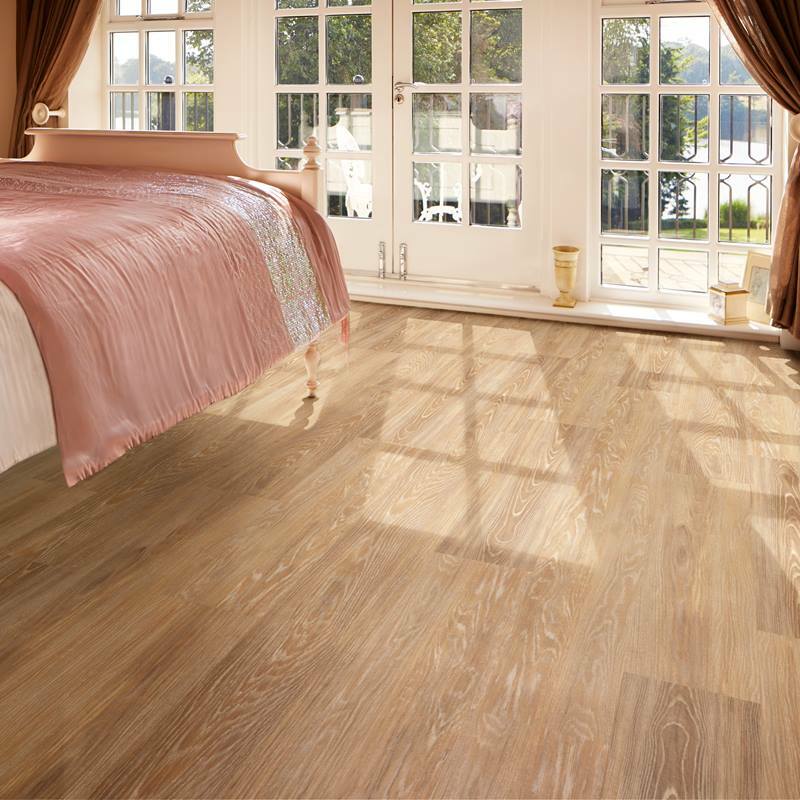 The classic look of the brown wood is available along with certain grey undertones making it one of the most stylish options available for bedroom flooring. The Arado wooden planks are great for any bedroom which boasts a weathered style but in a vintage fashion. The grainy effects on the wood can add subtle distinguishing factors to the floor making it look like a vast renaissance painting while also providing sufficient warmth. Available in both dark brown and mid brown colors, Arado can add a high-fashion vintage look to your bedroom. It also goes really well with antique furnishing. For those looking to set a lighter mood to their bedrooms, the light brown colored extra-large Magna planks can help you achieve it. The finish itself provides a certain unkempt look to the floor but at the same time is absolutely smooth to the touch. 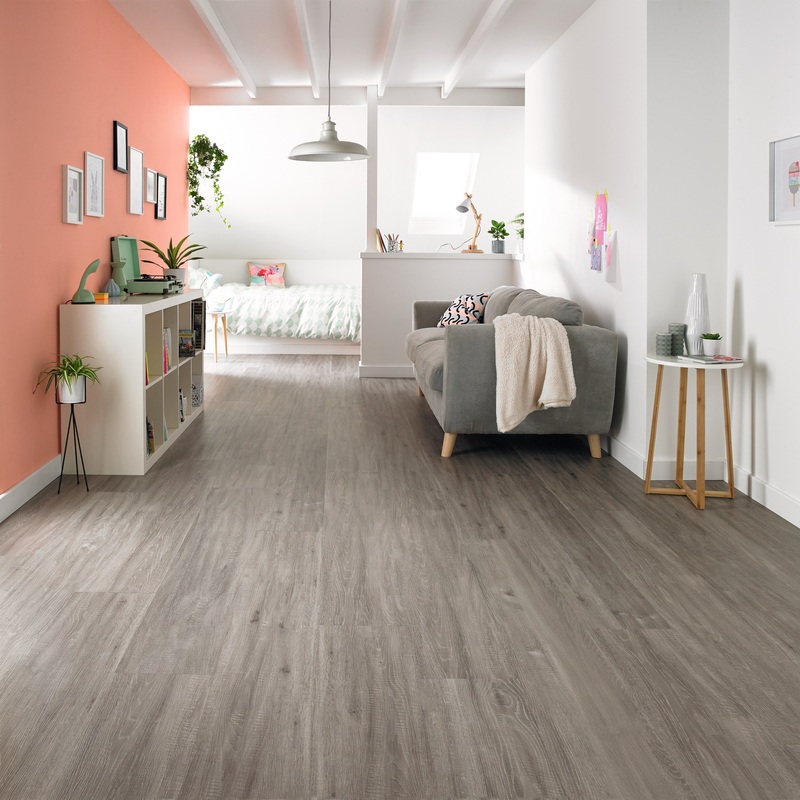 The extra-wide plank lengths allow for a continuous feel in the entire room flooring and go really well with modern furnishing styles. 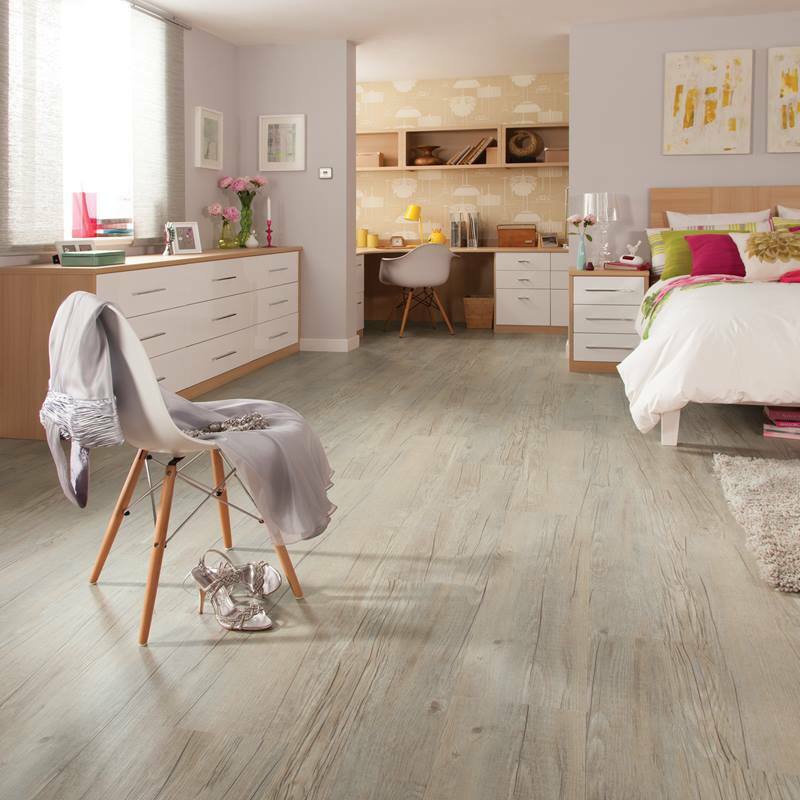 Country Oak is a great choice for parents or those with a messy pet. It is really easy to install and take off if the need for repair arises. The appearance is quite rustic and provides a sense of newly cut wood, but well waxed and powerful at the same time. If you like the energy set by the unfinished finish, the LLP92 Country Oak flooring may be the right choice for you. The sunshine on the light brown Newport floorboards is a sight which can set anyone’s morning. 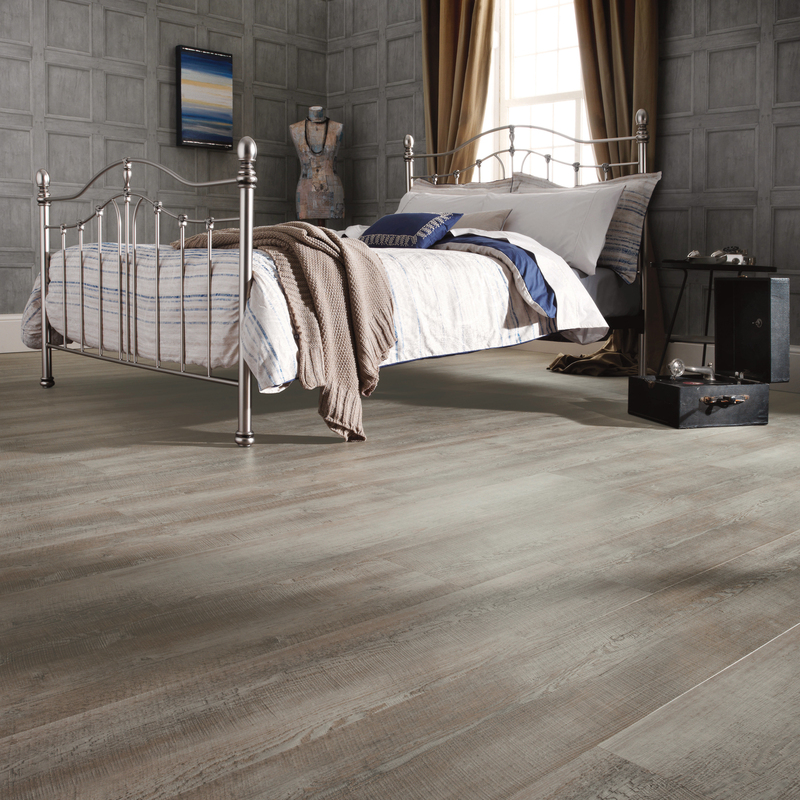 With just the right balance between a polished look and an unfinished wooden touch, this flooring can provide the best of both worlds for the modern bedroom setting. It goes well with lighter colors on the walls and furnishing. The perfect addition to a modern themed bedroom with the subtlest furnishing and minimum extravaganza. The color is a mid-range brown thereby offering both senses of serenity and sobriety, and it also sports a mild grain detailing which touches on the vintage side of things. Fits well into smaller bedrooms and lesser light conditions as well. Now that you have a comprehensive understanding of the subject at hand, we suggest you go ahead and do further research and also check through various other impressions available before making a choice. What is Janka Hardness Test?